^That was unexpected I knew he would pull off beating them somehow but not like that. Laxus is a monster! It was nice to see that Laxus isn't a jerk anymore. And he's super strong. LunarLexal wrote: It was nice to see that Laxus isn't a jerk anymore. And he's super strong. It is kinda strange though. he goes from planting bombs around the city that could kill everyone all so that he can take control of Fairy Tail to fighting for them like this? It is a major 180 in personality with no real reason. But it was still awesome all the same. And now wendy has to fight that cheating little brat with the god slayer magic. Being able to heal herself when Wendy can't isn't fair. Wendy needs to learn how to do that. I dont know why..... but this whole thing made me want to hit something. Laxus has character development, simple enough with no spoilers. And Wendy can easily win this if she puts her mind to it. It's not that hard if you look back. Did you completely miss the part where Laxus and Makarov made up? There was a grudge between them, especially on Laxus his part, but evrything was solved like 80-100 eps ago and its fine now. And dont forget what Jellal said at the end of last ep.. That girls magic is mixed with Zeref. I wonder what this is all about. Metazoxan wrote: It is kinda strange though. he goes from planting bombs around the city that could kill everyone all so that he can take control of Fairy Tail to fighting for them like this? It is a major 180 in personality with no real reason. Once he sees Makarov doing that he's reminded of the bonds they had and the whole "no matter where you are I'll always be able to see you" thing (Laxus cries for christ sake). So that part really had major personality development for Laxus with plenty of valid reason. Then he spends that whole time while he's excommunicated from the guild just wandering and thinking. Thinking and reaffirming what he learned from those events. He has through Oracion Seies and the Edolas arc to think about everything. Then with the events on Tenroujima he knows his grandfather is in trouble so he comes to back up Team Natsu against Master Hades, further proving his loyalty to the "Fairy Tail holy ground" and his grandfather. During that fight and getting almost blown up by Acnologia ( remember, he holds Makarov's hand and they have that good feels moment?) was enough to prove to everyone he deserved to be back in the guild. And from now on everyone needs to start spoiler tagging current stuff. Laxus is only really back in the guild because of guild master Gildarts commands, Makarov was still holding onto some sort of ideal that Laxus was kicked out. So even though he had forgiven him all that time ago he was still too stubborn to officially recognise him as a guild member again. So thank you Gildarts for having that command, as well as reinstating Makarov as guild master. On an unrelated note I kind of hope that Mavis will remain with the guild permanently regardless of what happens. I like her character, she is a ghost yet is fully aware of everything [being emotional, physical, psychological] and is still in possession of great power, so come on she is just too awesome. "The government has a way of hating people who own things." "The government is a troll. I can sense it." "Nothing else is as boring to tell as a story of successful love"
The last ova released. Hohohoho, did I laugh so hard at seeing her in there. I like her character as well. Adds more to the guild you know? I still think they didn't show enough of Laxus changing and just kinda jumped from bad guy to hero who preaches about family but whatever. Kinda funny I guess he stated the name in the manga and didn't learn about the name issue until later. Otherwise you'd think he would just change the name. It makes sense though since Mavis's design kinda looks like a boy. Look at previous posts pertaining to Laxus. I did read it I just felt it was still to sudden a jump. Well, who let him back into the guild is irrelevant from my point to Meta. My point to him was that laxus did have development and it wasn't simply a 180 change in his personality "with no reason." But, you know damn well Makarov wanted him back in the guild but was just too prideful to say it. Plus he didn't really have the opportunity after Tenrou Island. They got back, the guild master switches happened so quickly that Makarov didn't have time for it. 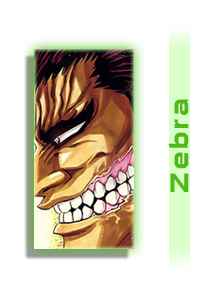 I'm positive if Gildarts didn't add him back it would only be a matter of time before Makarov did. @Meta The rest of us saw his change, I even laid it all out on the table for you and there was plenty of instances.. If the rest of us could see it then its obviously you who might need to go back and rewatch it because it seems like you weren't pay much attention. I don't think it's that simple. But even so, with the Fairy tail wizard mind set, I don't think Wendy's going to give up until she finds a way to win. I think it's because God slayer magic is closer to the one power than dragon slayer magic. Thus it'll feel more "tainted", I guess. Yeah, I hope she stays to. I also hope that celestial wizard from Sabertooth joins them. She was pretty cool, being able to use that "13th" zodiac gate. I think that her "Fish zodiac" may be the only one that isn't goofy. What does everyone think of the whole dragon situation? All of them disappearing on the same day. And that Grendal lady who "smells" just like it/her. does anyone believe her story? Well they did show that scene of Igneel and Grandine being held somewhere. I assume for something Zeref related. I trust that lady is good though. If not she's been fooling Makarov for decades. Yes, Grandine, that was her name! I knew it had to start with a "Gr" though. Really? I don't remember that. It must have played while I wasn't paying attention. What episode is it on? I trust her to. Even if she hates humans. Yeah, that's the same thing I think. It seems quite logical. After the events at the Tower of Heaven, Igneel is seen residing in a volcanic region, talking to the dragon who raised Wendy Marvell, Grandine, about Natsu. Igneel immediately orders Grandine to leave while she warns him that if Natsu continues fighting recklessly (or going too far), he will end up dead eventually. He then makes a reference to the Black Wizard, Zeref, and the dragons' removal from human affairs. He then shows that he is in fact very firm on leaving humans alone, especially Natsu. 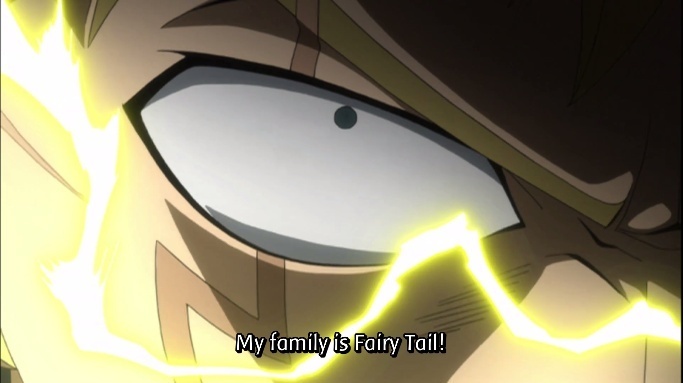 Hearing these words, Grandine leaves, hoping that Natsu's friendship with Wendy will be better than his "friendship" with Metalicana's foster son, Gajeel Redfox. Oh, now I remember. But I thought that was only a scene to show that they had went somewhere, not being held captive. Let me clarify I remember the events you are talking about I just feel like his change wasn't covered enough. But that is just my opinion I guess so don't take it as fact. I guess he did get a few hints dropped I just would have liked a little more than "Epic finger pointing" by the old man then him showing up a couple seasons later to act like the hero. I mean sure he probably did self reflecting during the exile but couldn't they have written in a little of that self reflection just so that we could see him develop? Well anyway I guess it doesn't matter all that much. I opened the spoiler before I even read what you posted, about reading the newest chapter. But that sounds super cool. I can't wait for it to appear in the anime! Hey what to you guts think of the 7 year time skip don't you think that was way to long? 3 years would have been an ideal time. Well I'm just glad all of the important characters were on the island or else the image of Fairy Tale would have been completely ruined. But 7 years is still completely uncalled for I was seriously thinking of dropping Fairy Tale after that episode. Jayvon wrote: Hey what to you guts think of the 7 year time skip don't you think that was way to long? 3 years would have been an ideal time. Well I'm just glad all of the important characters were on the island or else the image of Fairy Tale would have been completely ruined. But 7 years is still completely uncalled for I was seriously thinking of dropping Fairy Tale after that episode. Why? as you said the all the important characters were in the time skip so everyone important is the same age really. But the point of the time skip was to throw them into a world where they aren't #1 anymore and they need Ultear's help as well as a lot of hard work to get back to the top. So 7 years makes more sense than 3 because those extra years just makes them that much more behind.